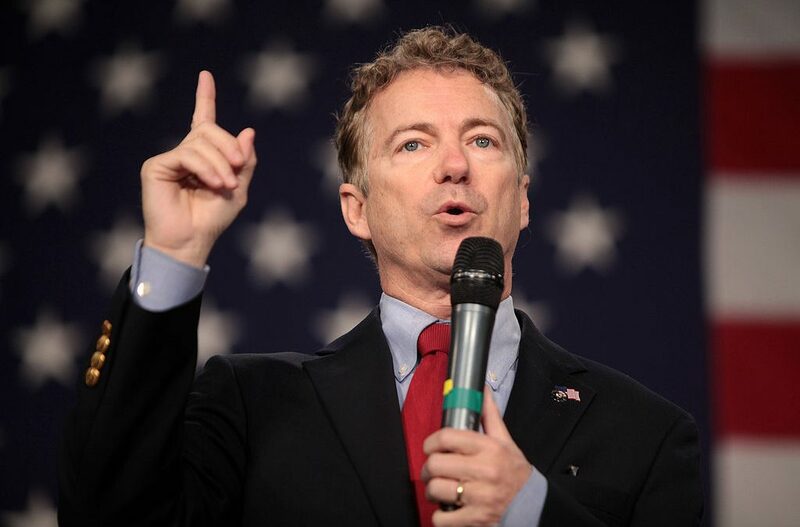 Sen. Rand Paul (R-Ky.) weighed in on the recent news from the Washington Post that President Trump wants a massive, expensive military parade in Washington, D.C. Sen. Paul says he’s all for it; after the troops come home from Afghanistan. The war in Afghanistan has continued for 16 years, and even though the people responsible for 9/11, including Bin Laden, are long dead, the war continues. Paul argues that in a place like Afghanistan, that will have to do, as there will be no grand surrender on a battleship like the end of World War II. What a phony. Anything for publicity. Our US soldiers have NEVER been “high-stepping” !!! Rand is just another Sheep in a Wolf’s Clothing !!! High stepping or not it’s still a martial image. 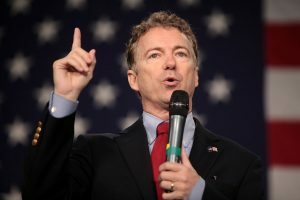 I agree with Sen. Paul that it should only be done after we bring our troops home, but I think it should be more than just the 14K in Afghanistan. Afghanistan was caused by the 9/11 attacks. Of course Mueller was in on the non-investigation i.e. the coverup. He’s a deep state operative. And no doubt the Saudi’s were involved on some level but pointing the finger at only them is a limited hangout. Pretty certain the Saudi’s don’t have the ability to get our military to stand down, right? . And when I say ‘stand down’ I mean chasing imaginary blips on a radar screen out over the Atlantic, while multiple war games are simultaneously taking place. That kind of stuff. Only one way that can happen. 9/11 was perpetrated by people within our own government. Oh and ISIS is USIS. The moment we leave is the momrbt the Talibs seizes power. I totally agree with Trump, no conditions attached. As a kid I remember going to watch military parades and I loved them. We Americans rely on our military to defend us yet we can’t honor them in a parade? That is ridiculous. American need to see our Military and a parade is just one way to thank and honor them and introduce them to the citizens. Trump gets it? The libs don’t get it. Well, most libs don’t like America anyway so sc**w them. Give me a good old fashioned Military Parade anytime over the wishes of liberalism. As a three time combat veteran I have to say NO to this military parade for two reasons. First, the troops have enough trouble and aggravation already. But second, and the most important, to put troops into formation and march them down the street puts them in more DANGER than the battlefield.